The QA team leads bug catching, but manual testing is not scalable when your company takes on more projects. Since my company sends builds every two weeks, the QA team wants to test every build before we pass them to our clients. To improve QA, I’ve helped modify project management processes, recruited a team of exploratory testers, and built automated testing tools for continuous integration as a QA Engineer. Most of the tools I build use open-source or free libraries. Below is a guide for my open-source Github repo with 100,000+ docker image pulls to help development teams and freelance developers set up their own automated tests. We will go through the process step-by-step to see how to set up a test with Selenium, which automates browsers to perform tests. 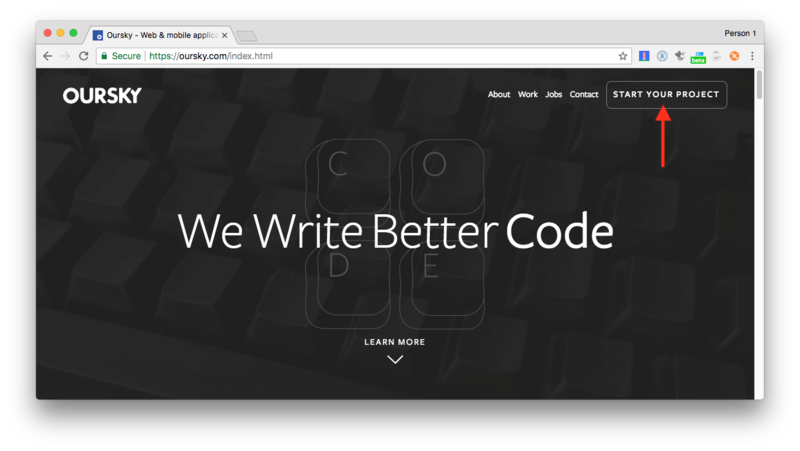 In this example, we will use headless Chrome to load our website and perform a simple click on the button we want to test on the site. Starting up a Chrome browser in Docker to run a Selenium test takes just a minute. Once it works, it works with any automated CI builds. First, open your terminal and go to your working directory. 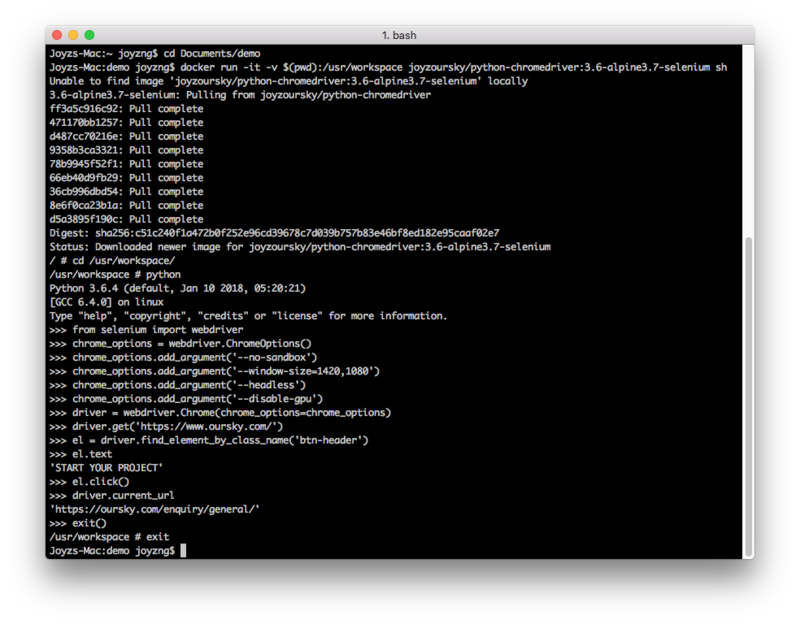 Then pull and run this docker image from joyzoursky/python-chromedriver. We will run the Selenium test inside the Docker container. Now the container is ready. Let’s move to the workspace and try out the code. Before trying the code, import the Selenium webdriver from the pre-installed package. Then let’s start the headless Chrome. Some options are required to pass to the driver to avoid crashing during startup. Now the browser is already opened in the container, but we cannot see it. Let’s try to go to this website and check the inner text of the top right button. Let’s find the element we wish to interact with, for example the button in the header “btn-header”. Got it! Now, let’s try to trigger a click on the button. Success! The driver goes to the expected URL after clicking the button. You can now run your scripts in the container, or use the image in a CI build script. You can also build your own image with more pip packages installed, so you can automate more powerful tests. You may find the GitHub repository of the docker image here with the testing environment set up. Also take a look at the full Python Selenium script example, so you can customize it into your own test. Oursky builds digital products for clients and developer tools like our opensource BaaS, Skygear, which helps developers build apps faster.